USDA has held 9 meetings across the country on the topic of “animal disease traceability.” At most, there were relatively small turnouts – perhaps 30-40 people at each, besides the USDA and state animal health authority bureaucrats. This is NOT a sound basis for making decisions about the future of animal ID in our country. A significant portion of the attendees represented large-scale industry groups. Just as they did in the 1990s and early 2000s, these groups are pushing for comprehensive electronic animal ID. Some are openly calling for a mandatory program that would impose requirements on every producer; others claim to favor voluntary programs, but their explanations make it clear that it would only be voluntary as long as it’s heading towards 100% participation. The justifications for these expansive Animal ID programs have little to do with actual animal health, and far more to do with the export markets and industry profitability. The claim is that protecting and expanding export markets help “everyone in the industry” – when the reality is that the profits go to the meat packing companies, feedlots, and a few large producers, not small farmers and ranchers. Rather, a NAIS-type program, with electronic (RFID) identification and intra-state requirements, would disproportionately burden small-scale and pasture-based producers, in the name of profits for meat packers and technology companies (See “More Information,” below). It’s vital that USDA hear from farmers and ranchers who see a better path for both animal health and farm profitability than expensive requirements for the benefit of export markets. Make your voice heard by submitting written comments! The deadline for written comments is this Monday, July 31. Comments can be submitted at https://www.regulations.gov/comment?D=APHIS-2017-0016-0001. 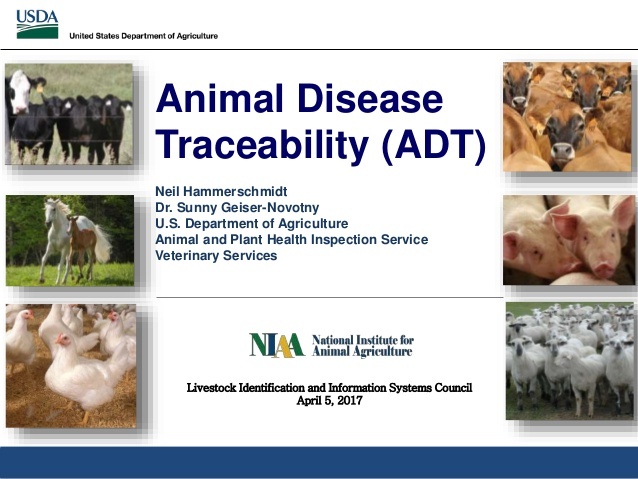 Animal traceability is just one part of addressing animal disease in this country, and an even smaller part of promoting animal health. While it is useful to be able to trace diseased animals, it needs to be done in a way that does not impose unnecessary costs on producers or disadvantage those who are managing livestock on pasture. I oppose any requirement for electronic ID because it will be disproportionately expensive and burdensome for small producers like me. The agency needs to continue to recognize traditional, low-tech forms of identification. Moreover, the agency’s traceability program must be structured so as not to disadvantage those using low-tech forms of identification. For example, the numbering systems must include options that work well with low-tech forms of ID, and any changes to certificates of veterinary inspection must be workable with such approaches.